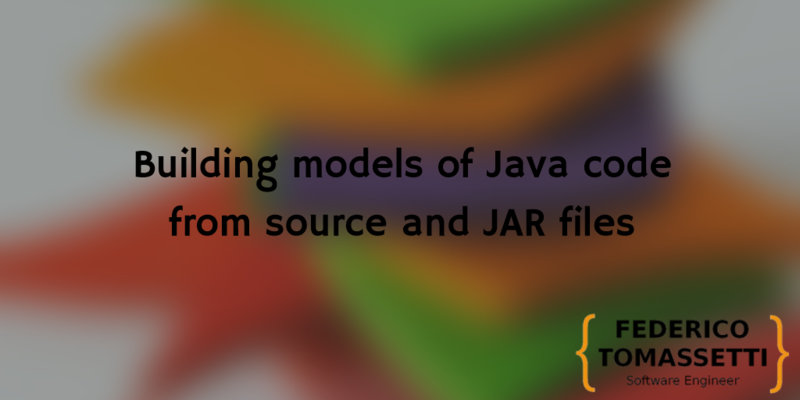 Last week we have seen how to build models of Java code from source and JAR files. 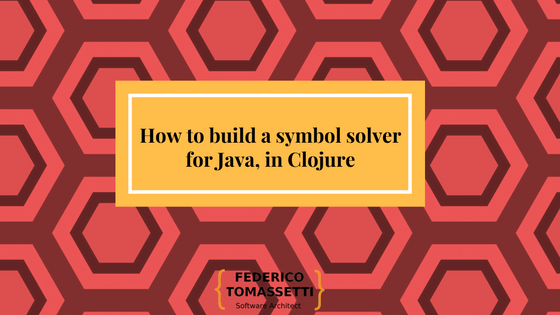 Now we want to be able to solve symbols: in practice we want to link the symbol references in our source code to symbol declarations either in Java source files or jar files. This process is called symbol resolution. Now to solve symbols we can figure out which symbol references refer to which symbol declarations. So that we can do things like understanding the type of a symbol, and so which operations can be performed on a symbol. The principle to solve symbol is easy (but the implementation could be… tricky): given a symbol reference we look for the closest corresponding declaration. Until we find one we keep moving further away from the reference, going up in the AST. In our example we would match the reference on line 15 with the declaration on line 14. We would also mach the reference on line 8 with the declaration on line 7. Simple, eh? 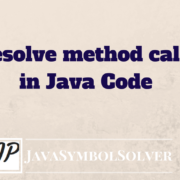 While the principle is simple, there are tons of rules and exceptions and things to consider to properly resolve the symbols. The nice thing is: we can start easily and then improve the solution as we go on. 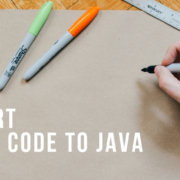 One note: in this post I will explain the approach I am currently using to build my symbol solver for effectivejava. I am not saying this is a perfect solution and I am sure I am going to improve this solution over time. However this approach seems to cover a large number of cases and I think it is not an awful solution. 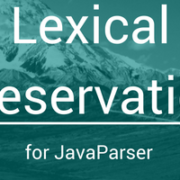 if it can be found, nil otherwise"
The basic idea is that in each scope we try to look for declarations corresponding to the symbol to be solved, if we do not find them we delegate to the parent scope. We specify a default implementation for the AST node (com.github.javaparser.ast.Node) which just delegate to the parent. 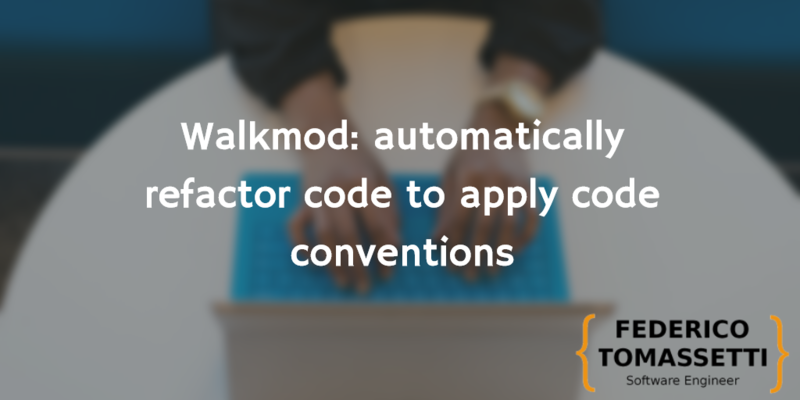 For some node types we provide a specific implementation. For ClassOrInterfaceDeclaration we look among the fields of the class or interface (classes could have static fields). 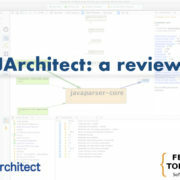 "Consider one single com.github.javaparser.ast.body.FieldDeclaration, which corresponds to possibly multiple fields"
For CompilationUnit we look for other classes in the same package (both using their simple or qualified names), we consider the import statements and we look for the types declared in the file. 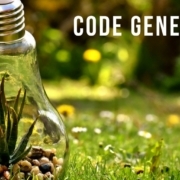 "Try to solve the classname by looking among the imported classes"
If we do not manage to solve a symbol in the scope of the Compilation Unit there is no parent to delegate, so we use the nil scope which represents the absence of scope. In that case only absolute names can be solved, like the canonical names of classes. We do that using the typeSolver function. 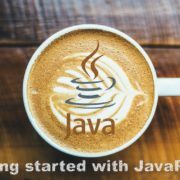 The typeSolver need to know which classpath to use and it basically look up for classes among source files directories and JAR. 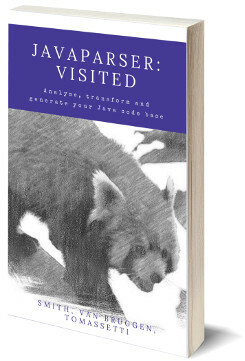 Also in this case feel free to dig into the code of effectivejava. I think Clojure is great to build solutions incrementally: we can implement the different methods of the protocols as we move forward. Build simple tests and improve them one piece at the time. We have built this simple solution iteratively and until now it is working fine for our goals. We will keep write more test cases and we could have to refactor a thing or two but I think we are heading in the right general direction. 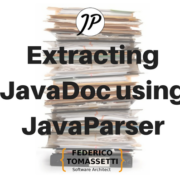 In the future could be useful to extract this symbol resolver in a separate library, to be used with JavaParser to perform static analysis and refactoring. 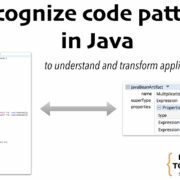 Hi Federico, since Eclipse for example is based on the JDT AST parser which from what I understand is similar to JavaParser, do you know how is it able to seemingly solve for symbols? Is it using algorithms similar to the one used in this article? I do not know how the JDT is built internally. However I think they build symbol tables and then resolve symbols by looking at those symbol tables. The approach I am using here is ok if you want to resolve one specific symbol. Precompiling symbol tables is instead more efficient if you want to solve all symbols in a file.